The space of the Multicultural Center is open to all non-commercial actions implemented by migrant and local communities, initiatives aiming migrants and multicultural projects. We invite you to use the space of the Center! Center’s space was established according to a participatory plan, with the participation of 19 non-governmental organizations and 5 municipal structures. ATTENTION: all links to websites are welcome – including video clips connected with the proposed event and the organizer. *anyone who organizes an event or a project in the Center can use the facilities of the Center, assuring all the payments connected with the realization of the project. 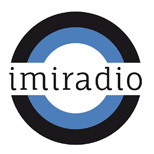 Special online broadcast: Warsaw Latin Convention on IMI Radio! Culture of Participation - Call for participants! Free legal assistance for migrants at The Multicultural Center in Warsaw! WORKSHOP: Civic society in Poland. Establishing and leading NGO.